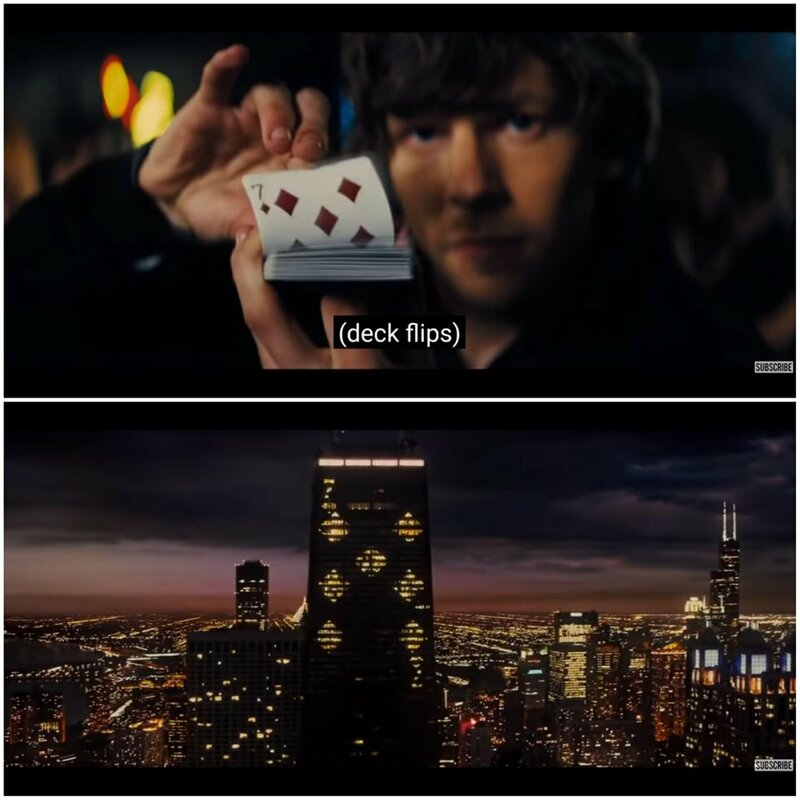 Top 8 mind-blowing movie details. This article may contain spoilers! 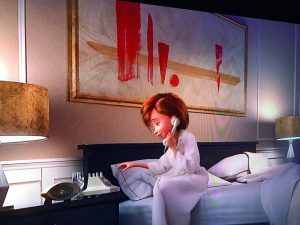 Helen in Incredibles 2, brilliant animation by Pixar, finds herself trying to build up a new reputation for super-heroes throughout the world. Meaning that while she is working her way back to public acceptance, her family is hiding, far away from her. Well, the painting in her hotel room, is a visual representation of that. From left to right, Mr Incredible, Violette, Flash, Jack Jack and finally on the right her. Old but gold, if you’ve never seen this trilogy, stop reading this article and go for it. You stayed? Great, so, in Ocean’s Eleven you will notice that weirdly, Rusty (Played by Brad Pitt) always eats. Well, it wasn’t supposed to be this way, Brad Pitt after working a full day without having time to eat, was starving and wanted to eat on set, therefore he proposed that his character could appear on screen always eating. Fun fact, in the scene where he is waiting for Tess (Julia Roberts), due to multiple takes, he ate 40 shrimps. This movie tells the story of a black slave in 1858 in Texas, where slavery is the norm. It depicts a hero, played by Jamie Foxx, that will break free from his chains, and goes on a quest to find the love of his life Broomhilda. Tarantino is known for the rudeness of his movies, it’s not surprising then that the mind-blowing detail is concerning this time, murder. The first time Django shoots a man point blank, some blood spills in his eyes, which leads him to miss his second shot. The second time he shoots a man at point blank, he closes his eyes and does NOT miss his second shoot. This image will explain it clearly: https://imgur.com/Z44PEru Django learns, just like we did. This really good piece of comedy lead by the surprising Micheal Cera. The movie is based on the graphic novel ‘Scott Pilgrim’ by Bryan Lee O’Malley. The story follows Scott pilgrim, a young musician who has to fight all his girlfriend’s ex’s, before he can date her. In the movie, the character at some point of the movie wears a t-shirt reading ‘Plumtree’. Plumtree is a Canadian band that released a song in 1997 called ‘Scott Pilgrim’. Song that will inspire the comic, that will inspire the movie. Full circle. Yeah seems pretty obvious now right? But trust me, while watching the movie, it’s not that easy to find. You shall not pass. Ok so first of all, thank god for Lord Of The Ring, it is literally one of the best and most epic trilogy ever made. Based of course on the books written by J. R. R. Tolkien. I unfortunately don’t have the fanciness to claim that I read the books, but I do watch the movies, usually once or twice a year. What can I say, really, apart from ‘My Precious’. 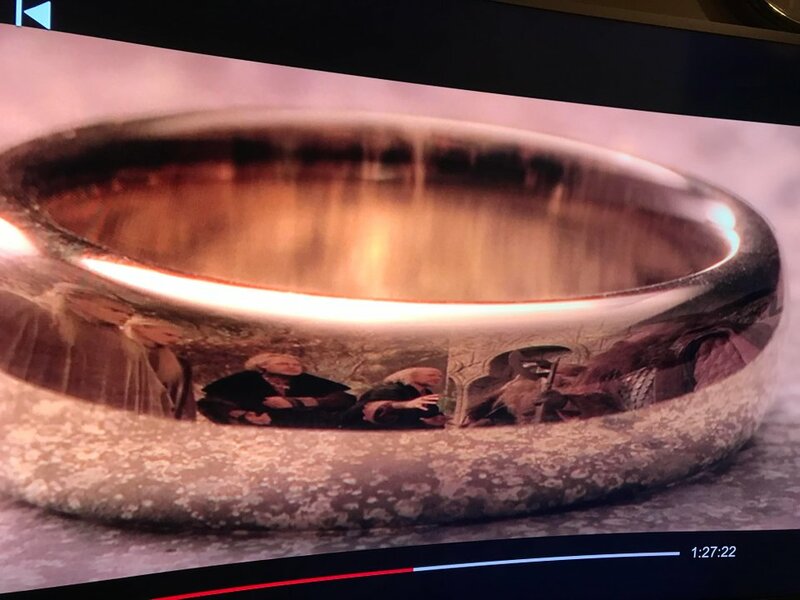 Anyway, in the first movie, Fellowship of the Ring, Men, Dwarfs and Elves are all arguing over which one of them will carry the ring back to mordor, where it can finally be thrown into the lava and be destroyed. Frodo the Hobbit, takes a closer look at the ring and sees in it, the three species that got defeated over 19 rings, because of their greed. That’s when he understands he is the one who needs carry the burden of the ring. Come on who doesn’t know Iron Man… Ok, so iron Man is a movie telling the story of the eponym comic’s hero, Tony Stark, who becomes Iron Man when he gets into his ‘Super’ suits, allowing him to fly, shoot missiles etc. The villain of the movie, was actually spoiled if you’re a fine connoisseur of Classical Music. Obadiah, therefore the bad guy, plays a music on the piano before eating pizza, well, the music he is playing is nothing less than ‘Larghetto’ by Antonio Salieri. Salieri is a contemporary composer of Mozart and therefore both were in competition, respectful to each other’s work, but still in competition, just like Obadiah in Iron Man. ‘Gilets Jaunes’- French ‘Yellow Jackets’ Protest Explained.